Interview with Laura Doyle, Author of "First Kill All The Marriage Counselors" Interview with Laura Doyle, Author of "First Kill All The Marriage Counselors"
Have you heard of the book, First Kill All the Marriage Counselors? We have, and we interviewed the author for our podcast, “Can this Marriage be Saved”. It’s a great interview and we wanted to share it with you by way of audio recording and written transcript below. Laura Doyle’s wisdom for women is bold, funny, and life changing. Rivka: and together we are here with Laura Doyle who (I’m going to read her wonderful introduction, because she is very well-known and I want to make sure I get all of her amazing accomplishments to you. Laura Doyle’s marriage was in trouble after five years. Her husband had become distant and seemed checked out of their relationship, preferring to watch TV over making love. There were frequent fights that ended with tense silences. Marriage counseling made their marriage worse, and each session seemed to reinforce the feeling that she and her husband were just too far apart. Desperate to avoid divorcing the man she loved, Laura tried something different–she started talking to women who had been happily married for more than 15 years. What she discovered shocked her! Everything she had heard in marriage counseling was wrong. Laura realized that there are basic truths that can help women maintain loving and intimate marriages. Rivka: So Laura, thank you so much. Laura: It’s my pleasure. Thanks for having me. Shlomo: I hope I’m safe here. Rivka: I meant to tell you, my husband is a marriage counselor and when I first heard your book title- I was not familiar with Shakespeare-and I was just like, “Wow!” It was shocking! Shlomo: And I had read that article that you were interviewed in – featured in Ami Magazine, where they had also interviewed me in the issue, Can Marriage Counseling Go Wrong – what to look out for to avoid bad therapy. Rivka: So I finally understood also the Shakespeare reference. Did you come up with that title or did your book publisher? 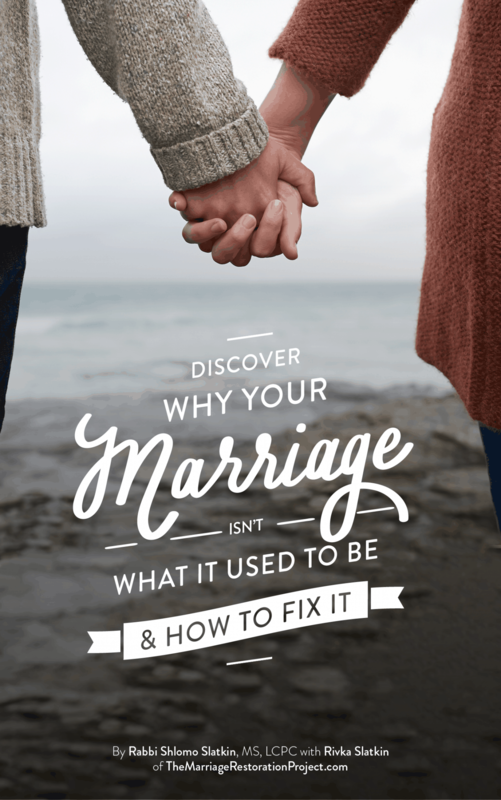 Laura: No, I came up with it, so apologies–no violence intended on anyone but it was really just out of my own experience, of course, personally finding that marriage counseling had contributed to our problems. But also in my position as a relationship coach over the last 17 years, I’ve had a front row seat to the inside of a lot of women’s relationships and just heard story after story of “Yeah, I went and the marriage counselor said to get divorced.” It was horrifying to see all of the damage that was getting done. But you know the title–I did want to shock people. That was part of the intention, but I was also trying to be playful, it was a little bit of a joke. It was a joke when Shakespeare said to kill all of the lawyers and I think humor is a great way to make people think about things differently. And if things are going to change, we have to think about them differently. Rivka: Absolutely, and that’s really why we wanted to invite you on this show. We have never really had a guest on our podcast. but we wanted to have you because you are bold and brave in talking to women about taking responsibility on themselves, right? Laura: Yes, absolutely and I think for me, I was so clueless­­––it’s so sad when I think about my earlier version of myself in my marriage. I just did not realize that I was being disrespectful and I really thought that he was the problem. He was the one who needed to improve and it was hopeless cause he wasn’t trying to improve. He didn’t even want to work on the relationship. He didn’t want to talk to me. From that point of view I had zero power. I couldn’t begin to create what I have now–the kind of connection and playfulness and passion that we have now. So for me it was just very empowering to learn that women are the keepers of the relationship and if I wanted things to change it was up to me. I have great power and just like with Spiderman, I have great responsibility. I believe that women do have a responsibility to learn the skills that contribute to intimacy and we don’t get those sometimes. A lot of women come from broken homes. I’m from a broken home so the recipe that I watched was a failed recipe. And we didn’t have Relationships 101 where I went to school. So for me it is the most basic thing that every woman needs because we are all going to want to have the type of relationship where our husband is seeking out our company. My husband just knocks himself out to do things to delight me and make me happy. Recently he pulled out his phone and he was like, “Oh, don’t move!” and he just starts taking pictures of me like I’m a supermodel! I’m unspeakably grateful for that outcome and I just know that any woman can have that if she is married to a good man, and she gets trained in the skills of intimacy––just like when you get trained to drive a car or make an omelet. Rivka: Yes and I know we both work to do that very much, as it is our mission to educate people to do this. Shlomo really exclusively works with couples together through his private marriage retreats and I like it that for those spouses who are not willing to work on it together, you help women one-on-one. Shlomo: One of the things we do when people call us­­––the husband or the wife–but a lot of times it’s the women who calls and says, “Look, my husband doesn’t want to come to counseling.” So we encourage them to do whatever they can to work on themselves and become aware of what they are doing to contribute to their relationship. But going back to where you said, “If they are married to a good man…” Do you find that there are situations where no matter what the wife does, the husband is not going to react in a way that is the most successful way? Laura: Well there are very few, but yes of course there are. And for me what I say is, safety comes first. If he is physically abusive, or if he is just chronically, relentlessly unfaithful, if he’s not capable of being faithful, or if he has an active addiction to drugs, alcohol or gambling to where you are not safe then those are the situations where I cannot promise great results because intimacy requires safety. Shlomo: We were talking about it and obviously with those elements it also is about the emotional safety as well. You know when one spouse tries to make the relationship more safe, even more emotionally safe, by cutting out the criticism or the nagging or the blaming that allows for that ripple effect and allows for the husband to respond in a different way, because when he is not feeling threatened then he can actually show up. Laura: Well, I couldn’t agree with you more! That is just the wisest thing you just said there because intimacy does have to have emotional safety to thrive. Absolutely! And it’s funny, I have a lot of women saying, “I have to divorce because he’s emotionally abusive or verbally abusive.” And what we see is that when she institutes the Intimacy Skills, and brings respect and vulnerability and relinquishes that sense of control and the other skills, that emotional or verbal abuse clears up. It’s really not the re Intractable problem that it appears to be. But as soon as I made it emotionally safe on my side of the street, of course he responded to me very differently––in a much better, more tender way. His natural desire to make me ridiculously happy returned! All husbands have that desire––I call it the hero gene––to make their wives happy. But if they have to defend themselves against her criticism and complaints and disrespect then that’s going to supersede his hero gene coming out. Rivka: Do you get a lot of flack for talking to women about taking responsibility for this? Laura: Well I do, because I think part of the problem is, as in my marriage, I was already so exhausted and I felt like I had worked so hard to save my marriage, (and I had worked hard!) but I was doing the wrong work. I was trying to have a State of the Union address on the couch. I was saying, “Let’s talk about our relationship,” which just lets every husband know that he is in trouble. And then he just wants to get away. It’s not going to lead to him saying how beautiful, wonderful and special I am, which is what I really wanted to happen. So I was exhausted. And I think when women hear that they go, “Okay, great news (sarcasm).” You are the keeper of the relationship and you have all of the power. But they hear it as, “Ugh, I have to do all the work, and he’s not going to do anything!” And it’s not that at all. It’s that they were doing too much. I was doing too much. If you do less–if you relax, if you let your husband take care of you, if you stop acting like his mother, if you stop buying his socks and underwear, making his doctors appointments–then you are going to have a lot more time for yourself and to do the things that you enjoy. So one of the first places we start usually is do less and receive more from him and receive it gratefully and graciously and that makes a huge difference right there. Shlomo: Because ultimately, the husband wants to give to the wife, and if you don’t let him give, that giving muscle begins to atrophy. Laura: Yeah, it does. It’s amazing. We women can really have a hard time with that. I struggled with it at first. I have better habits now, thankfully, but I would wake up in the morning with bed hair and he would say “you look beautiful” and I would be like, “No I don’t, stop it, My hair’s a mess!” I just was contradicting him/ Even a simple compliment I just couldn’t receive! He would say. “Hey, I want to take you out to dinner,” and I would be like, “I already defrosted the meat.” Like that’s not practical so we can’t do that. So I was just rejecting him right and left without realizing. Then I would be mad that he wasn’t very romantic. Rivka: Oh I love that! Shlomo is am Imago therapist and Dr. Harville Hendrix who is the founder of Imago therapy wrote a book called “Receiving Love” because he found that, Shlomo correct me if I’m wrong. How did that book come about? Shlomo: Well at some point in a relationship even with all the great things you can do to work on a relationship if one person is incapable of receiving love then all the good doesn’t actually penetrate. You have to actually be a receptacle to be able to receive that love from your partner and that sometimes you can make a lot of effort but if there is no receiver on the other end it just doesn’t hit the mark and you can wind up still in that frustrating place. Laura: I think he was seeing a lot of people unable to receive the love that was finally being expressed. Shlomo: It was based on his own relationship that he wrote the book. Laura: Yeah, absolutely and in fact one of the interesting things that I discovered on my journey is that women are the only ones that use the phrase emotional abuse. I’ve never heard a man say that and I have inquired! What’s interesting––and here is the lens that I look at this though––is that when I was first married, I was a rageaholic. I mean I would really rip into my husband and just try to tear him down as much as I could, up one side and down the other. I’d say all of the hurtful, mean, awful things that I could. I’m not proud of that obviously, but I am happy to say that through practicing Intimacy Skills, my compulsion to do that was lifted. I haven’t had a rage episode in gosh, 17 or 18 years. Just like with little kids, right? One kid would punch the other kid then go, “Hey, he punched me!” and it’s like, “Well, yeah you just punched him too”, but they are not focused on that. They are just focused on the pain of just getting hit. We women are more emotional. They did a study at the University of Toronto recently and they discovered (I’m glad I was sitting down for this) that women are more emotional than men. So this is research money well spent. And because of that I think these things have a different impact on us as women then maybe they do on the men. So they are more like, “Oh yes, she was mean to me.” and we are like “He abused me!” and we make it a little more dramatic and kind of bring in some, I call it N.E.T – Needless Emotional Turmoil about those kinds of fights. People say that you need to learn how to fight fair. I think there’s no such thing. That’s why they call it fighting. You’re trying to be destructive and tear down the other person in that moment, and it’s not good. It’s not right, it’s not productive. Rivka: It’s not productive at all and it doesn’t keep the end-goal in mind, which is to connect rather than to be in a state of disconnect. So it’s like what’s your end goal? To dump and be right? Or to ultimately connect and build a great relationship? I think also society––like I notice every TV show has sarcasm with regards to marriage––where the husband is mean to the wife or the wife is mean to the husband and it’s “funny.” So I think also, we don’t necessarily realize what becomes just a typical joke and how damaging that is. Or girlfriends going out for drinks to getaway and they all start talking and dumping about their spouse. That’s not something that’s going to help them in the long run. Laura: No, male bashing is incredibly destructive and I didn’t really see that in my early marriage. I thought the same thing! “Men are stupid, men are immature, and are lazy. You know that’s hilarious––they are sloppy!” And spending that evening with my girlfriends male bashing just made me come home and think “Eww. Why would I want to be married to this?” And I am married to this, and I am really grateful for that now, so keeping my focus on those things that I want to have increase versus the things I don’t want more of has really helped make a difference––to refocus my view on all of the positive attributes, the things that I fell in love with about my husband. Rivka: That’s amazing, we just really commend you for taking your experience and putting it into something and having faith and the expectation that women and men can change and make this difference. Shlomo: A lot of people––as you said in the beginning––we get calls all the time from people who have had marriage counseling gone wrong. I had a couple that said, “You are our 7th therapist.” And luckily, they are still around because a lot of times therapists encourage people to get divorced as they are not adequately trained or they don’t necessarily believe in marriage. They might say “Well, let’s decide whether you should stay together or not,” without even seeing the other spouse. It can be very destructive so it is good (that you are out there spreading your message) and we need more people out there that are giving messages of hope that things can be different, that there is a better way. Rivka: Thank you Laura also for being brave enough to really call out those therapists that are working with couples and destroying their marriages, like we have done. It’s hard because he (Shlomo) is a therapist. Therapists don’t like it. Laura: Yea, I could see where that would make you really unpopular. Shlomo: It’s funny, the therapists all complain––but I’ve gotten tons of emails from people that say, “Ahh, this is exactly what happened to me unfortunately.” People relate to it. And there are good therapists out there, but you want to go to somebody that has expertise and is going to try and help you reach your goal. Laura: Yea absolutely, we like the concept of a marriage mentor and since we only serve women––we don’t serve couples––what we do is, all the coaches in my organization, for instance have had their own transformations. They have gone from being on the verge of divorce or really kind of just a dead marriage where they live under the same roof but there is no emotional connection, and passion, to just that wonderful companionship that you get from a good marriage and they have turned it into something that is worth having and worth bragging about. They are able to say, “Here’s what I did.” And it’s real specific along those lines. I know that marriage counselors mostly got into the business to help people, and they mean well, and have good intentions, so it is tragic that so many are not trained. One of the things that I hear about that just breaks my heart every time is a couple will go to marriage counseling and the counselor will just invite them to say what’s wrong. And the women says “Well, I don’t think I can trust him… he can’t perform in bed,” and she goes through all of these incredibly disrespectful statements in front of a stranger and she has just dug her hole so much deeper just by doing that. It’s almost like the equivalent of the man saying, “I don’t think I love her and I never really did.” She would just be crushed and she doesn’t see that she is crushing him just as much. So that is one example of things that we hear about I’m sure you would never do, but unfortunately some poorly trained therapists are doing that and it’s just the most damaging thing. Everyone that’s listening don’t do that. Don’t go to therapy and say everything that is wrong with your husband in front of a stranger. Shlomo: And that is the importance of having a safe process that really makes sure they can express what they need to but in a way that is respectful and safe so that the other person doesn’t feel shamed. Laura: Yeah, exactly. One of the things we do is to encourage them not to even tell their husbands that they are learning the Intimacy Skills and that if they have any complaints, they could bring that to us and we will hold that for them. Then the face that they are showing, what they are bringing to their husbands is the action of respect. Just like love is a decision, respect is a decision, and so we will hold the things that you know are grossing you out about your husband, or what you can’t believe he is doing, and when you show up to him you’re just showing that respect, just making that decision. Shlomo: What would you say to husbands (I know you don’t work with husbands) but if you’re saying that the woman has to take responsibility, is the husband off the hook? Laura: Yes! in my book “First Kill The Marriage Counselors” I tell them they can read page 72, so that would be good for them. The rest of it really is for the wife. Rivka: So it sounds like women can work with you and your coaches one on one, is that how you do it? Laura: Yes, we have a number of different ways that we serve women so one of them is definitely private coaching, where you talk to someone who has already transformed her marriage and has gone through extensive training to become a relationship coach in this style of The Surrendered Wife and First Kill All The Marriage Counselors where we believe that every women is really the expert on her own life. So we don’t really have any advice, it sounds really funny, but we don’t have any authority to tell her what she should do but we just have our own experience to share and some skills that if she would like to learn them we can assist her in applying them and encourage her. We stand for her marriage and for it being great and amazing and exhilarating and we listen and bear witness and we also acknowledge her for her progress. But we are not really there to tell her what to do. So I think where sometimes the therapist model might be where they are encouraging them to stay married or not stay married, you know like “maybe you should just get a divorce” we don’t have that authority. Shlomo: Maybe just empower them to get in touch with what they want to do and do the best for their marriage. Can you briefly share with our listeners your 6 Intimacy Skills? I mean I know it’s a lot, you wrote a whole book about it but maybe just to summarize the main points. Laura: No, I want everyone to know what they are actually, so the first one is about replenishing your spirit by practicing good self care. By which I don’t mean eight hours of sleep and five fruits and vegetables and 30 minutes of cardio. What I mean is doing at least three things a day for your own joy. Like the way a child is attracted to a ball, these are the kinds of things that just make you so that you can’t stop smiling. So for me, I love to play volleyball, I love to go on a walk but it might just be a hot bath, or I’d love take a nap or talk to my girlfriend on the phone or my sister, so it can be really simple things, but just really carving out the time for you so that you’re not just always giving to everyone else and then becoming depleted and exhausted and thinking your husband’s just the biggest idiot on the planet, which is what happens when you don’t practice self care. So that’s number one, we have to do that in order to do any of the other Intimacy Skills cause you won’t have the energy if you don’t do that one. Number two is to relinquish inappropriate control. A surrendered wife knows she can’t control anyone else so she doesn’t try telling her husband how to drive, what to do at work or how to dress or what to eat because she focuses on her own happiness instead and that, in turn, improves the intimacy. Number three is about restoring respect by expecting the best outcome. So instead of expecting him to mess up you are holding out an expectation for your husband that he is wise and thoughtful and competent, and your words and your deeds match those expectations. The next one is receiving graciously, we talked about that one a little bit about receiving gifts, compliments and help with just a simple thank you and a smile instead of “You shouldn’t have,” or “I’ll just do it myself!” And that is the essence of femininity by the way. A receptive women is very feminine and that makes her very attractive––it like 10x’s your attraction level. And then the next one is about revealing your heart, choosing vulnerability even when you are angry. If you are angry with someone you are intimate with, you are also hurt, so you may choose to express the hurt by saying “ouch” or you may express something like “I miss you,” instead of “You never spend any time with me.” it’s a much more vulnerable approach. And the final one, maybe the more powerful intimacy skill of all is about refocusing your view with gratitude. So it is really focusing on the things that you want instead of the things that you don’t want. And here we have the power of what I call the Spouse Fulfilling Prophecy, which is really the change your husband skill if there is one. Because we find that a lot of times a wife will say, “He always loses his temper” but no one ALWAYS does anything. You could just honestly focus on the times that he doesn’t lose his temper and say, “You never lose your temper,” It’s just about choosing the one that serves you instead of the one that doesn’t. Rivka: Mhmm, beautiful. Well Laura, Thank you so much we are definitely going to encourage that women read your blog, and your material is just such great regular reading to do in order to encourage and create this marriage of your dreams. And you know it was just a really nice change for us to have you on our podcast because really we’re very selective. Like I said we have really never had anyone on because of the reason that many times you know what another marriage professional does is not in line with our very serious values that marriage comes first. We never, ever encourage divorce. Shlomo never tells a couple what to do, to stay or to go. It’s not about that. So we are very cautious by what we put out there because we really do believe that there is a lot of information out there that can be more harmful than helpful. So we wanted to get your message out and share it. Shlomo: And it is helpful for people who don’t have a willing spouse that they have to do it on their own and even if your spouse is willing to work on it can only enhance it, because when one person changes in a relationship it has an effect on the other. Laura: Yeah, well first of all I am so honored that you had me on, I’m really just flattered, I can’t believe that I got invited to be on your podcast, so it’s really wonderful. 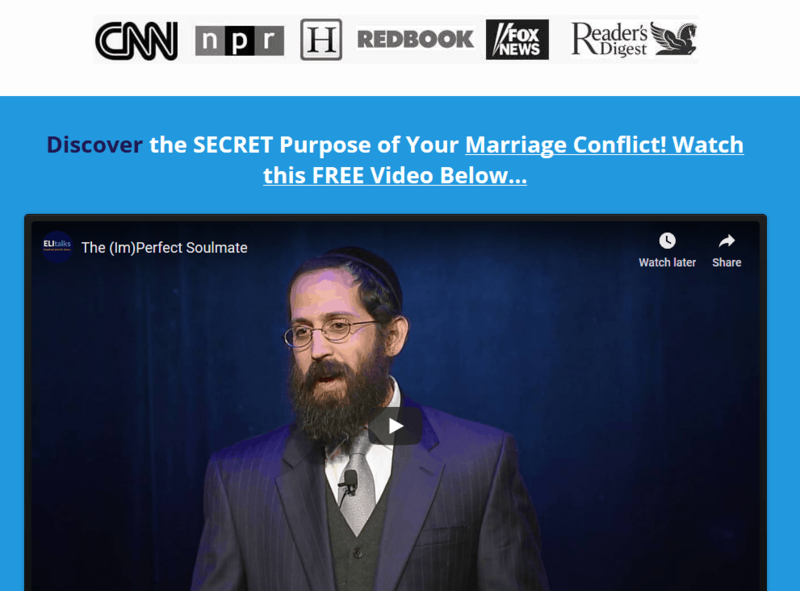 Rivka: An invitation to be on, from a marriage counselor! Shlomo: Yes it can definitely help to focus on the positive, being able to receive, trying to catch your spouse doing something right as opposed to looking at the negative and it’s all very powerful and they are little things, but they are actually really big things because they can have a profound impact, as you have shared your own story with us. It makes a huge difference. So those who are listening who don’t think that you doing these little changes can make a big difference, know that it can make a huge difference in your relationship and we have seen it. Laura: Yes, if I can do it, believe me­­––I was a complete mess––anybody can do it. 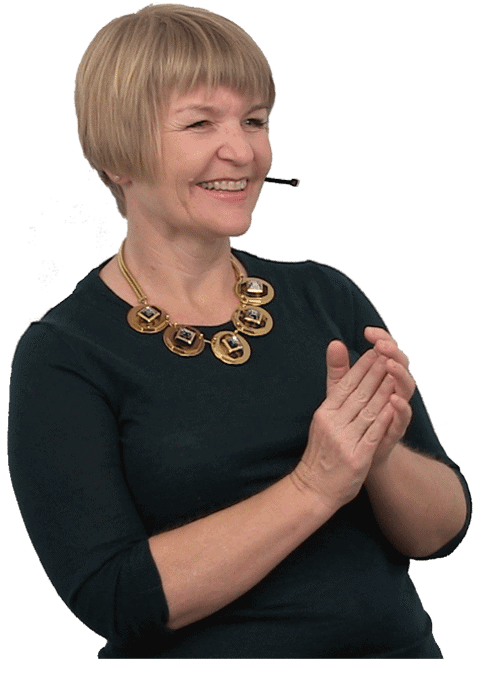 Laura: I have a special webinar going on right now that I invite you to attend free. You can get it at http://www.getcherished.com/canthismarriagebesaved, and its called How to Get Respect, Reconnect and Rev up Your Love Life. Its an in depth study on the second intimacy skill, relinquishing inappropriate control. It gives you really specific key phrases to use with your husband to get a much better response. Rivka: We look forward to sending people there, Laura thank you again and we’ll talk to you soon. Shlomo: Take care our pleasure. Rivka: Thank you, We hope you have enjoyed listening to today’s topic, We’ll be back again to focus on another topic that is sure to help you with your marriage. If you’re intrigued by First Kill All the Marriage Counselors and you want to experiencing marriage counseling that actually works, working together with your spouse to achieve a thriving and successful marriage, talk with us about our 2 Day Private Marriage Restoration Retreat. 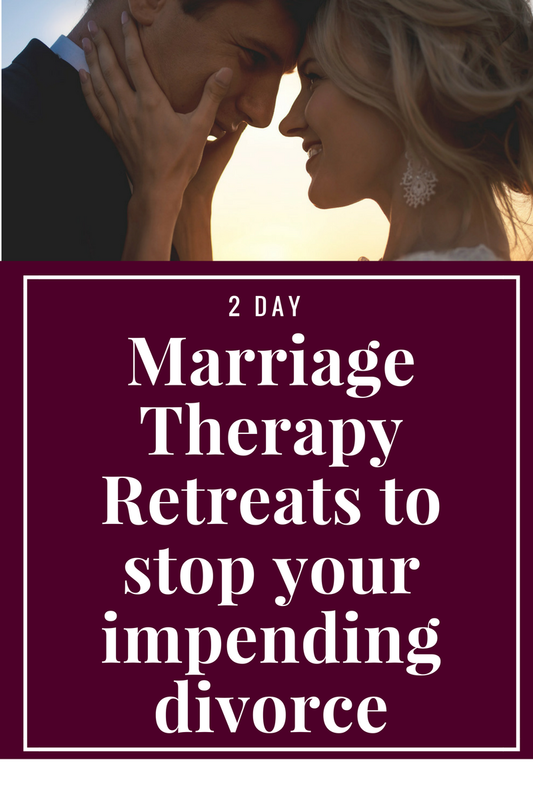 It’s 2 full days of the most effective marriage counseling in an intensive format so that you can a huge jumpstart in taking your marriage to a place that can withstand all of life’s challenges that are thrown at you and connect deeply and more connected than ever before full of love, hope, and trust again. Don’t wait to talk with us about our private 2 Day Marriage Restoration Retreat.